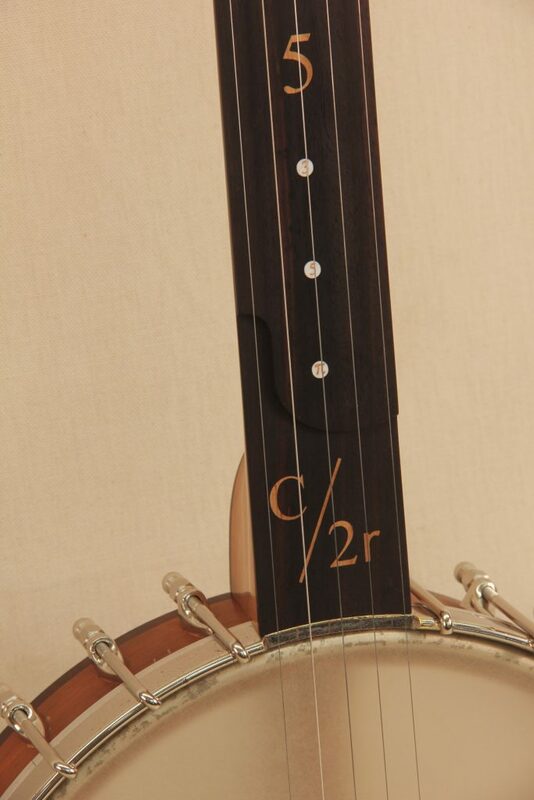 This banjo started as a 4 string Little Wonder banjo from 1919. 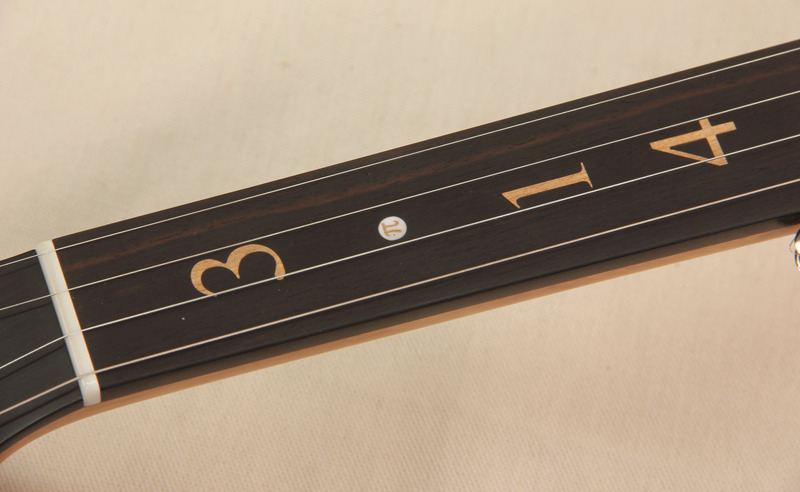 The original neck was falling apart and the owner wanted a new five string neck. 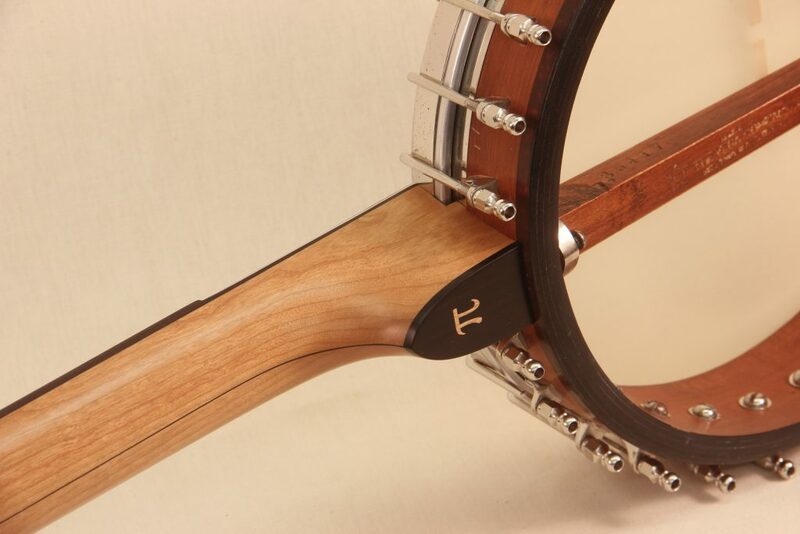 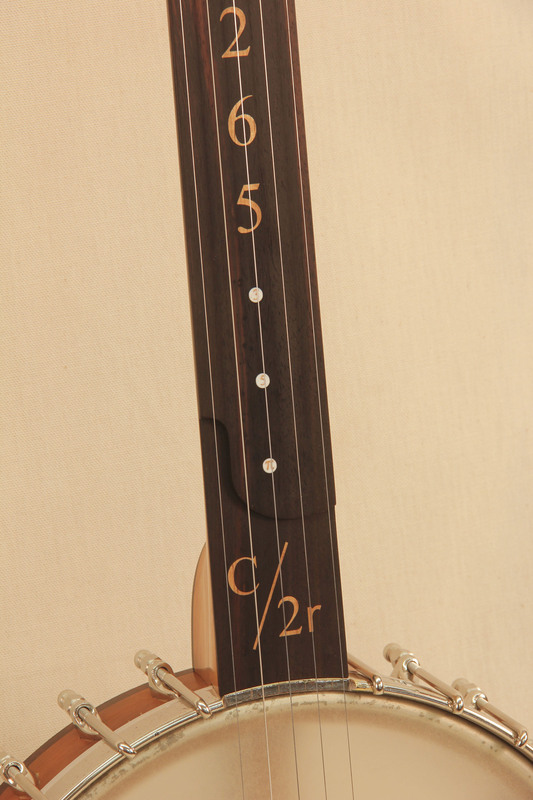 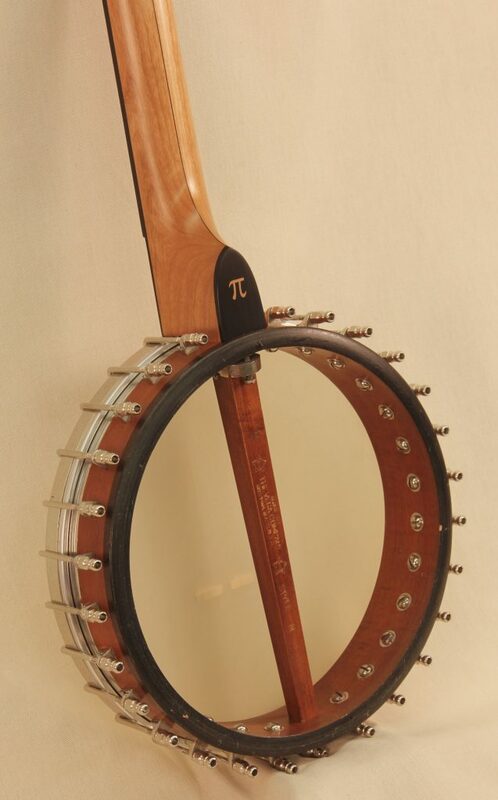 Built for the same customer as the Prime Number Banjo and is a similar numbers theme. 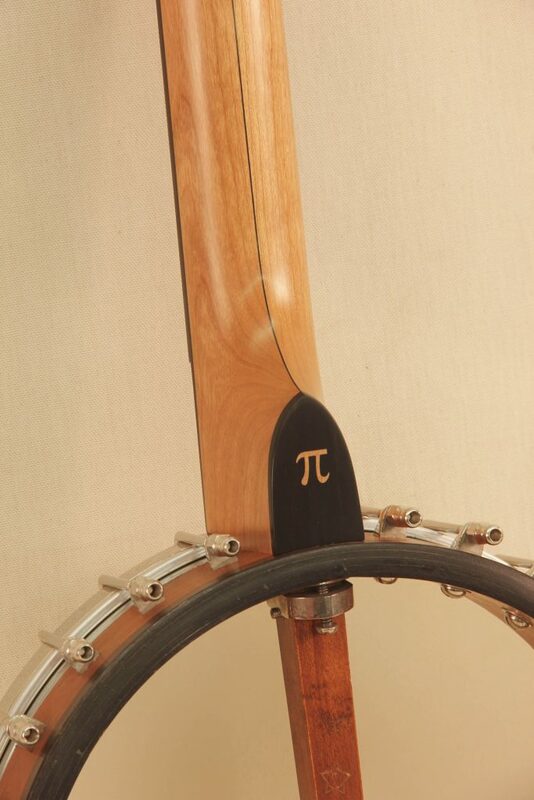 Using Pi as the idea we came up with this unique design. 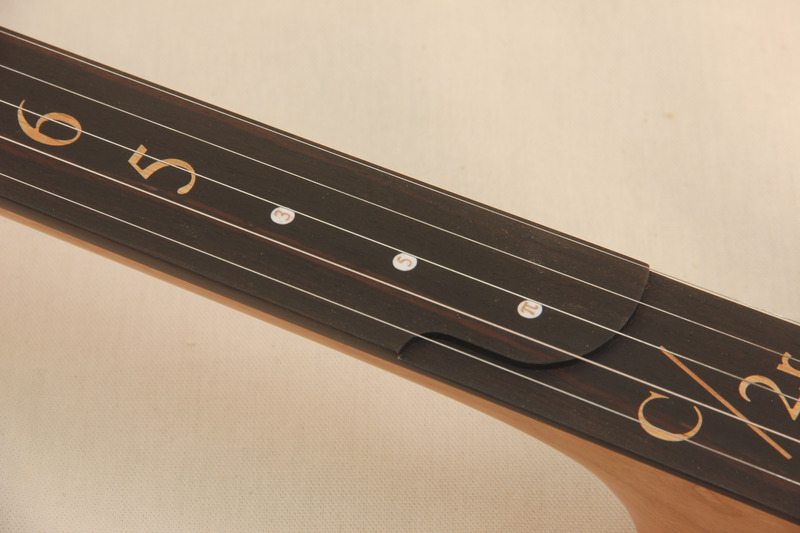 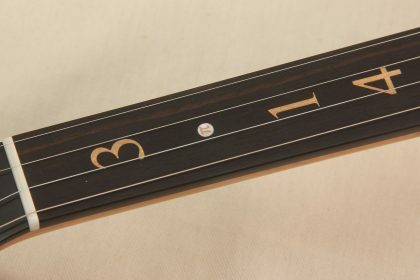 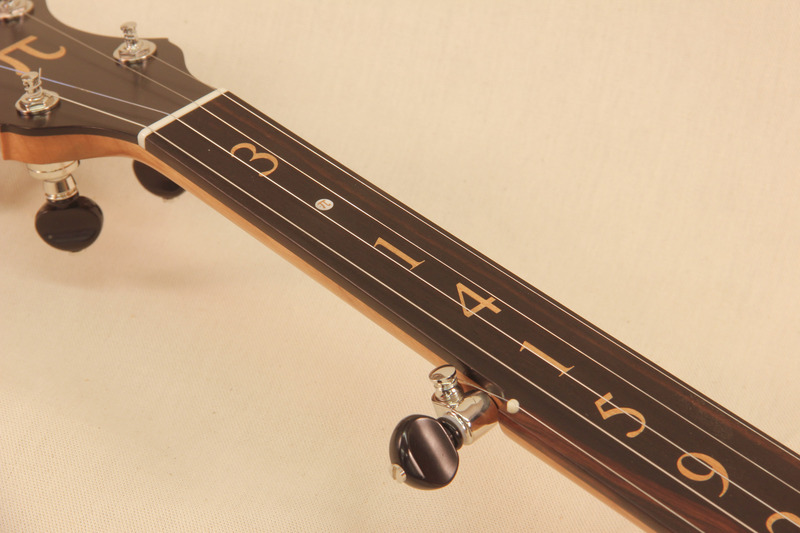 I came up with a new technique for making delicate inlaid dots to feature the number of the banjo at the end of the Pi string and a Pi symbol for the decimal point.